View Your Health Snapshot to get an overall picture of your health based on key biometrics. Register for a testing session if your numbers are unavailable or outdated. Once you know your numbers, use them to take action to improve your health. Complete the Health Questionnaire through your online account and set a health improvement plan. Let us help you put your plan into action! We offer a number of programs and services, including rebate programs that give you cash rewards for your good health and health improvements. Check with your Human Resources Department to see if your employer participates with this program. 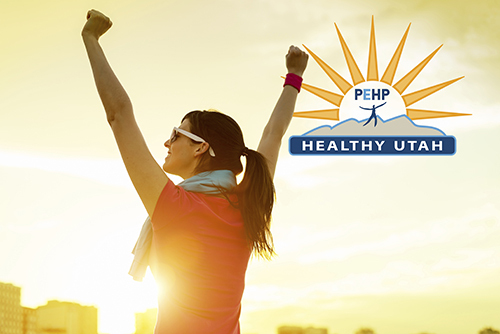 If you are unable to meet the medical standards to qualify for the program because it's medically unadvisable or unreasonably difficult due to a medical condition, upon written notification by your physician, PEHP will provide you with a reasonable alternative standard to qualify for the program. The total amount of rewards cannot be more than 30% of the cost of employee-only coverage under the plan. Effective July 1, 2014, FICA tax may be withheld from all wellness rebates. This will slightly lower any amount you receive. PEHP will mail additional tax information to you after you receive your rebate. Consult your tax advisor if you have any questions.